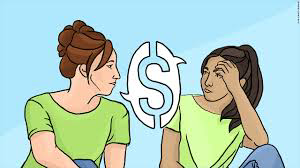 It's not always easy to talk about money, but it's an important conversation to have! Here are some ideas for questions or conversations starters you can use to talk to your mentee about money, budgeting, and payment plans. You can also share the video about budgeting basics here, and don't forget to check out this step by step guide guide apps and tools for sticking to financial goals. What [college] expenses have you already started to run into? What other expenses do you see coming down the road? How are you covering these expenses? Do you have a system system to keep track of your budget and expenses? Where are you planning to live next year? Do you think it will have a big effect on your expenses? How will you be getting to and from school? Have you factored this into your finance plan? On a scale of 1-10, how worried do you feel about paying all these bills? What kind of health care coverage do you have now? What health insurance plan will you have in college? I would love to work with you to do some budgeting. Is that something you would like to do together?